Sorry I don't have a clever intro. I was watching the craziest movie last night. On CNN. A federal judge will announce his decision Tuesday whether AT&T can acquire Time Warner for $85 billion. Ahead of the ruling, Axios' Sara Fischer and David McCabe have a look at the stakes and lay out various potential outcomes. Why it matters: Today's court decision will shape the media and telecom landscape, as it will set off chain reactions for other media mergers and will determine how viewers watch video content for decades to come. There are a range of possible outcomes. Judge Richard J. Leon could choose one of two straightforward options: Clearing the deal without conditions attached or blocking it outright. 1. 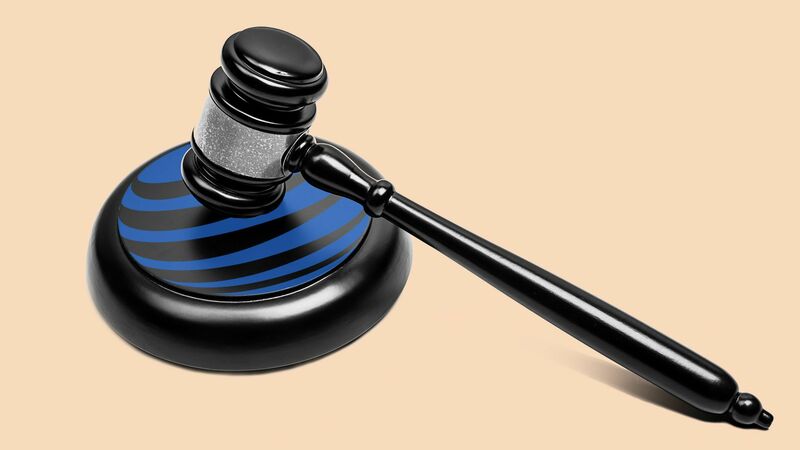 Order that arbitration be used to defuse concerns about AT&T using Time Warner's content as leverage to gain an advantage over competitors in the video space, after AT&T already indicated it may be open to using that process. That could in theory allow negotiations to take place without the threat of a "blackout" where a programmer pulls its content from a distributor when they can't reach a deal. 2. Tell the companies to sell off key assets, which would be less palatable to AT&T. Selling either DirecTV or the Turner networks (or a portion of them), including CNN and TNT, would undermine the central benefits of the deal for AT&T. DOJ requested some divestitures before filing its lawsuit, and AT&T refused. Between the lines: A win for AT&T would probably make it easier for TV networks to merge with a tech or telecom company — essentially fusing the content delivery systems with the content itself. Other deals at stake: If AT&T prevails, it could cause cause 21st Century Fox to seriously consider Comcast's higher offer over Disney's. An AT&T win also bolsters T-Mobile's case to regulators that it should be allowed to buy Sprint. Beyond tech and telecom deals: It would signal to all U.S. companies that a vertical merger — combining with a company that's not a direct competitor — is on strong regulatory footing. On the other hand: A win for the DOJ will raise questions about a slew of outstanding deals in other realms, including media and telecom as well as spaces like healthcare, where CVS is trying to buy Aetna and Cigna wants to acquire ExpressScripts. What we're hearing: News coverage and analysts' notes over the past several months have suggested that the DOJ failed to deliver a compelling argument to block the merger. But those headlines could be over-simplifying the logic of the case. What to expect: Leon has called reporters and stakeholders back to the court room to issue an official ruling Tuesday afternoon. This is highly unusual for a district court judge, and could foreshadow a potentially complex ruling. Go deeper: David and Sara have more here. Yes, but: The looming arrival of 5G offers the potential for the smartphone market to eventually return to double digit growth, president Cristiano Amon told Axios in an interview Monday. Facebook responded to thousands of questions posed to CEO Mark Zuckerberg by members of Congress, though in some cases it didn't fully answer the questions, or it simply referred to prior statements. In your testimony, you discussed two typical business models employed by social media companies to make content available to users: an advertising-supported model and a subscription-based model. If Facebook were to shift from an advertising model to a subscription model, how much would consumers expect to pay in order to access Facebook content? Would you ever consider making such a shift? If not, why not? Like many other free online services, we sell advertising space to third parties. Doing so enables us to offer our services to consumers for free. This is part of our mission to give people the power to build community and bring the world closer together. My thought bubble: If I were a TV lawyer, I'd rise up and say, "Objection, your honor, move to strike as non-responsive." The bottom line: The responses were a mix of answers and non-answers. There weren't any immediate new bombshells, though the responses stretch over hundreds of pages and our eyes glossed over after a while. When Facebook announced it will be diving into the online dating business, it seemed like an untimely move for a company facing criticism for not respecting users' privacy. But according to data collected by user research firm Alpha, the majority of Facebook users who already use a paid or free dating app would be interested in an online dating service from the company. More: Read Kia Kokalitcheva's full story on the survey here. E3 officially begins in Los Angeles, though much of the big news is out. Nintendo's press briefing is this morning. CEBIT continues in Hanover, Germany. Bozoma St. John, the former Apple executive who joined Uber last year to help its flagging brand image, is leaving to be CMO for talent agency Endeavor. FTC Commissioner Rohit Chopra has hired Erie Meyer as technologist. Former YouTube executive Tim Shey is joining language-learning startup Duolingo as head of studios and content, per Variety. Moving quickly to thwart President Trump's $1.4 billion deal to save Chinese telecom manufacturer ZTE, lawmakers attached a new provision Monday to a must-pass defense authorization bill. G2VP, a venture capital firm spun out of Kleiner Perkins and focused on green and sustainability-related tech, has closed $350 million in capital. The Treasury Department put sanctions on several Russian entities and individuals for their role in recent cyberattacks, including the NotPetya malware and attacks on the U.S. energy system. Workday is buying Adaptive Insights, a Palo Alto-based maker of cloud-based financial management software that had been planning to go public this week. DraftKings is raising more money to launch a sports betting business, Axios' Dan Primack scooped. Check out the best Mario Kart racer to be, as determined by data science.